Dr. Pyeritz is employed by Penn Medicine. 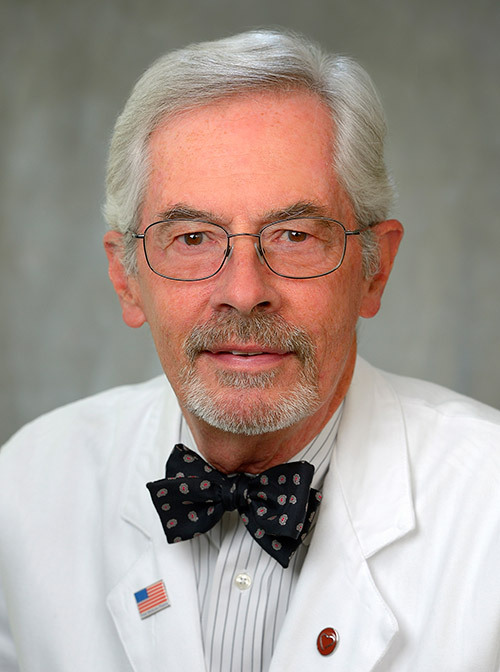 Dr. Pyeritz focuses his research in two areas: Mendelian disorders of the cardiovascular system, especially those involving defects of connective tissue; and, ethical, legal and social implications of the human genetics. He is continuing his studies, begun over 20 years ago, of Marfan syndrome and related conditions, diseases in which the aorta and occasionally major arterial branches, gradually enlarge and dissect, leading to early demise if untreated. 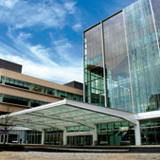 Current efforts include a multicenter trial of angiotensin receptor blockade in Marfan syndrome, the identification of additional genes that predispose to arteriopathy, and improving methods for diagnosing and treating arterio-venous malformations, especially in hereditary hemorrhagic telangiectasia (HHT). Dr. Pyeritz directs Penn CIGHT, the Center for the Integration of Genetic Healthcare Technologies. Supported by the ELSI Branch of the National Human Genome Research Institute, this center conducts research in the broad area of ‘uncertainty’ as related to the introduction of evolving approaches to assaying a patient’s genotype. Penn CIGHT also provides pilot grants to faculty and postdoctoral fellowships. Dr. Pyeritz is specifically addressing how molecular genetic testing for HHT impacts the acceptance and costs of screening relatives who are at-risk. Chick JFB, Reddy SN, Pyeritz RE, Trerotola SO: A survey of pulmonary artery malformation screening, management, and follow-up in Hereditary Hemorrhagic Telangiectasia Centers of Excellence. Cardiovasc Intervent Radiol 2017 Feb 10 doi: 10.1007/s00270-017-1604-6. : 2017. Siddiqi HK, Bossone E, Pyeritz RE, Eagle KA: Chronobiology of acute aortic syndromes. Heart Failure Clin 2017;13:697-701. PMID: 28865779 : 2017. Siddiqi HK, Luminais SN, Montgomery D, Bossone E, Dietz H, Evangelista A, Isselbacher E, LeMaire S, Manfredini R, Milewicz D, Nienaber CA, Roman M, Sechtem U, Silberbach M, Eagle KA, Pyeritz RE, on behalf of the GenTAC and IRAD Investigators: Chronobiology of acute aortic dissection in the Marfan syndrome. Am J Cardiol 2017;119(5):785-9. PMID: 28065489 : 2017. Whitehead KJ, Sautter NB, McWilliams JP, Chakinala MM, Merlo CA, Johnson MH, James M, Everett EM, Clancy MS, Faughnan ME, Oh SP, Olitsky SE, Pyeritz RE, Gossage JR: Effect of Topical Intranasal Therapy on Epistaxis Frequency in Patients With Hereditary Hemorrhagic Telangiectasia: A Randomized Clinical Trial. JAMA. 316 (9): 943-951,2016. Roman MJ, Pugh NL, Hendershot TP, Devereux RB, Dietz H, Holmes K, Eagle KA, LeMaire SA, Milewicz DM, Morris SA, Pyeritz RE, Ravekes WJ, Shohet RV, Silberbach M; GenTAC Investigators: Aortic Complications Associated With Pregnancy in Marfan Syndrome: The NHLBI National Registry of Genetically Triggered Thoracic Aortic Aneurysms and Cardiovascular Conditions (GenTAC). J Am Heart Assoc 5 : 8,2016. Bossone E, Pyeritz RE, Braverman AC, Peterson MD, Ehrlich M, O'Gara P, Suzuki T, Trimarchi S, Gilon D, Greason K, Desai ND, Montgomery DG, Isselbacher EM, Nienaber CA, Eagle KA; IRAD Investigators. : Shock complicating type A acute aortic dissection: Clinical correlates, management, and outcomes. Am Heart J 176 : 93-99,2016. Weinsaft JW, Devereux RB, Preiss LR, Feher A, Roman MJ, Basson CT, Geevarghese A, Ravekes W, Dietz HC, Holmes K, Habashi J, Pyeritz RE, Bavaria J, Milewski K, LeMaire SA, Morris S, Milewicz DM, Prakash S, Maslen C, Song HK, Silberbach GM, Shohet RV, McDonnell N, Hendershot T, Eagle KA, Asch FM; GENTAC Registry Investigators. : Aortic Dissection in Patients With Genetically Mediated Aneurysms: Incidence and Predictors in the GenTAC Registry. J Am Coll Cardiol 67 (23): 2744-2754,2016. Lacro RV, Dietz HC, Sleeper LA, Yetman AT, Bradley TJ, Colan SD, Pearson GD, Selamet Tierney ES, Levine JC, Atz AM, Benson DW, Braverman AC, Chen S, De Backer J, Gelb BD, Grossfeld PD, Klein GL, Lai WW, Liou A, Loeys BL, Markham LW, Olson AK, Paridon SM, Pemberton VL, Pierpont ME, Pyeritz RE, Radojewski E, Roman MJ, Sharkey AM, Stylianou MP, Wechsler SB, Young LT, Mahony L; Pediatric Heart Network Investigators: Atenolol versus losartan in children and young adults with Marfan's syndrome. N Engl J Med 371 (22): 2061-2071,2014. Pyeritz RE: What is the optimal medical therapy for Marfan syndrome? J Pediatr 165 (5): 889-890,2014. Dean JH, Woznicki EM, O'Gara P, Montgomery DG, Trimarchi S, Myrmel T, Pyeritz RE, Harris KM, Suzuki T, Braverman AC, Hughes GC, Kline-Rogers E, Nienaber CA, Isselbacher EM, Eagle KA, Bossone E: Cocaine-related aortic dissection: lessons from the International Registry of Acute Aortic Dissection. Am J Med 127 (9): 878-885,2014.